The complete subset regressions (CSR) is a forecasting method proposed by Elliott, Gargano and Timmermann in 2013. It is as very simple but powerful technique. 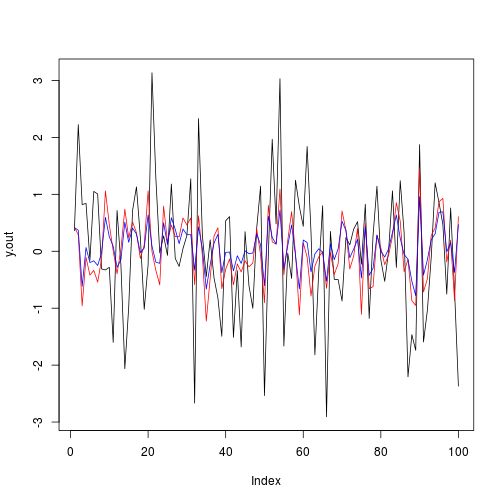 Suppose you have a set of variables and you want to forecast one of them using information from the others. 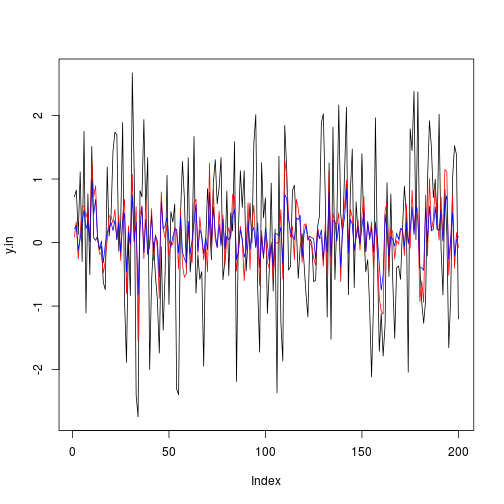 If your variables are highly correlated and the variable you want to predict is noisy you will have collinearity problems and in-sample overfitting because the model will try to fit the noise. Compute the average of all the forecasts to have the final result. The main conclusion from the results is that the CSR gives up some in-sample performance to improve the forecasts. In fact, the CSR is very robust to overfitting and you should definitively add it to your collection to use when you believe that you are having this type of problem. Most modern forecasting techniques have the same idea of accepting some bias in-sample to have a more parsimonious or stable model out-of-sample. This is the simplest implementation possible for the CSR. In some cases you may have fixed controls you want to include in all regressions such as lags of the dependent variable. The CSR computational costs increase fast with the number of variables. If you are in a high-dimensional framework you may need to do some type of pre-selection of the variables to reduce the problem’s size. Elliott, Graham, Antonio Gargano, and Allan Timmermann. “Complete subset regressions.” Journal of Econometrics 177.2 (2013): 357-373. To leave a comment for the author, please follow the link and comment on their blog: R – insightR.